Enter address or ZIP code below. General dentists are educators of proper tooth care and providers of routine oral treatments. They carry out examinations, take x-rays and provide some dental specialty procedures such as tooth extraction. They also have a limited ability to prescribe medications to patients. Pediatric dentists are general dentists who specialize in the care of young persons. They will typically see children from birth to adolescence, while the jaw, teeth and mouth are undergoing significant growth and changes. This dental discipline focuses on growth and management of these areas and often employs the use of child psychology in order to make a child’s visit as pleasant as possible. Periodontists deal with the supporting foundation of a tooth’s structure. They also treat the diseases and conditions that affect gum tissue and oral bone structures. Prosthodontists treat patients who are in need of the restoration and replacement of teeth or implants or prosthetic teeth. Maxillofacial prosthetics is a sub-specialty of this profession. Maxillofacial specialists treat ailments involving the head, mouth, teeth, gums, jaws and neck that are caused by diseases and defects as well as injuries caused by physical trauma. This is accomplished with surgical procedures such as bone grafts, wisdom teeth extraction, corrective teeth and jaw procedures, and dental implants, among others. Endodontists primarily treat the tissues surrounding the root of the tooth and nerve-rich tooth pulp which is crucial to a tooth’s health. These procedures are vital for patients who have cracked teeth, or diseased or injured tooth pulp. Oral surgeons are responsible for providing diagnoses, surgical procedures, and ongoing maintenance for the neck, head, mouth, teeth, gums and jaw. They engage in facial reconstruction, cleft lip or palette correction, bone grafting, impacted teeth, cyst and tumor excision, jaw mobility surgery, and more. Orthodontists deal with the growth and adjustment of the teeth, jaw, mouth and face. Procedures may be carried out purely for aesthetic reasons, but are also known to be utilized for medical reasons. Orthodontists will most often use braces and retainers in order to set a patient’s teeth correctly. Coverage for braces is especially important as it is normally categorized by dental insurance as unnecessary, and therefore, not covered. Braces will be covered with EDP’s discount dental plans. Enroll with EDP using the provided link or please phone one of our knowledgeable, customer service representatives at 1.800.777.1085. Sign up for the best dental plans today and experience true flexibility and affordability. Is Private Dental Insurance Worth It? What is the Best Dental Insurance Available? What is the Advantage of a Dental Plan? How Do Monthly Dental Plans Stack Up Against Dental Insurance? Such a wonderful plan, so glad I found it! The prices are extremely reasonable considering what I would be paying without EDP! I have recommended EDP to quite a few people and I know my daughter and her family have joined. EDP suits my needs. I have been a member for over six years and have always found staff to be friendly and informative. I have recommended EDP to several people who have signed up and find it beneficial. Perfect customer service each time I’ve renewed my plan or just when I call with questions. 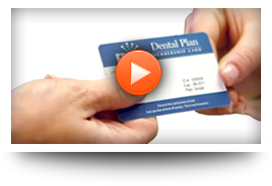 Having the EDP Dental Plan helps greatly with my dental bills/cost… having EDP saved me hundreds! I have been an EDP member for several years and have found it be extremely worthwhile considering the nominal cost of the program. “With EDP Dental Plan, I was able to keep my own dentist! Here at EDP Dental we strive to ensure that you make the best decision possible for oral health. 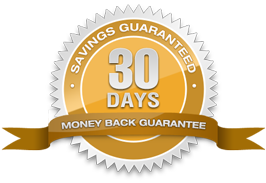 If within the first 30 days of your membership purchase you are not able to realize cost savings after seeing a member dentist, we will gladly refund your membership fee when you cancel your dental plan.